That’s Connor’s brother, Kayden. Connor is his little buddy. Every photo I viewed shows the love between these two brothers. Kayden has a goal inspired by his brother and YOU have the power to make it come true. Here is Connor’s story: At just 7 years old and in grade 2, after feeling dizzy and falling at school, Connor was diagnosed with medulloblastoma, a malignant tumour in the cerebellum of the brain. After an initial misdiagnosis of an inner ear infection, his parents wisely took him to BC Children’s Hospital insisting on another examination. After failing his neuro vitals, a CT scan followed by an MRI discovered the malignant tumor which was 3×5 cm in diameter. I think about that moment, when his parents received the news that their healthy, sweet little boy has a malignant tumor. I’m sure the breath was sucked out of their lungs and time stopped and raced at the same time. It is certain; they will never be the same again. 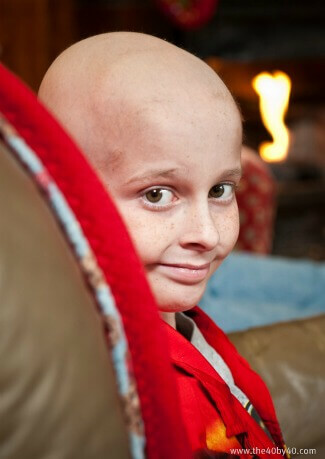 Connor’s medical team was amazed how quickly he recovered after the tumour was successfully removed in emergency surgery on September, 19th, 2010. 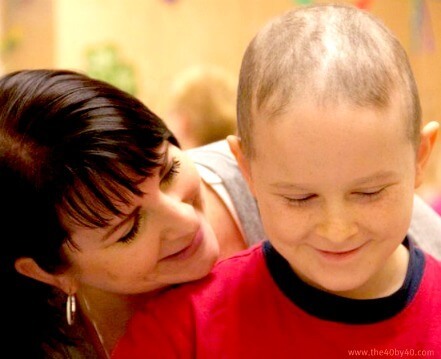 His parents were told that his tumour was “standard” and with six weeks of radiation and nine rounds of chemotherapy, Connor had a 95% survival rate! Hope was high! When treatment ended fourteen months later on Halloween 2011, his family rejoiced believing Connor could be a ‘normal’ little boy again. Connor relapsed on November 12th. He had signs of a stroke and was rushed into emergency surgery after a CT scan showed what looked like a mass of blood. The tumour was back, but far more aggressive. Now it was the worst form of medulloblastoma possible. His parents, brother, family, friends and medical staff were blindsided. The surgeon cried because after seeing Connor in surgery the first time, he believed he would beat it. Dear, sweet Connor was initially angry and said he didn’t want to die. It is hard to imagine being a parent in that position. Life does not prepare you for that depth of pain. As a family, they cried, held each other and talked about everything. 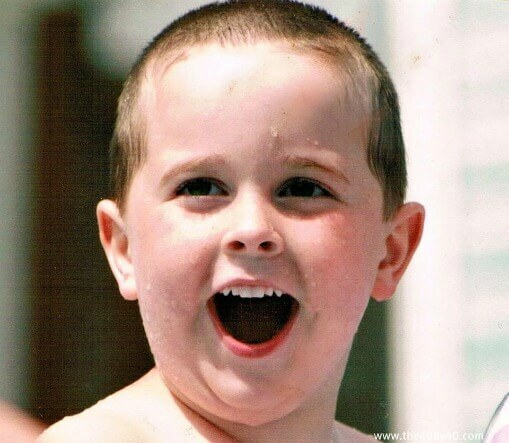 They showed Connor in the little time he had left, how much he was loved. Canuck Place Hospice gave Connor superior care making sure he was pain-free. 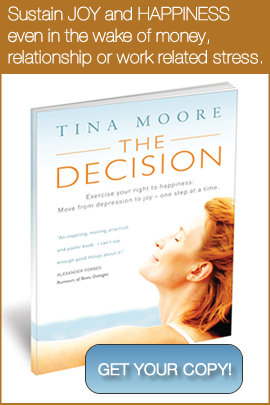 Grief counsellors helped him come to terms with dying. This little boy became incredibly intuitive and calm. Wise words regularly came out of his mouth. Friends, teachers, family, nurses and others who were affected by his bravery, quiet wisdom and kind heart continue to write notes to him on his Facebook wall. He touched so many lives in a short amount of time. 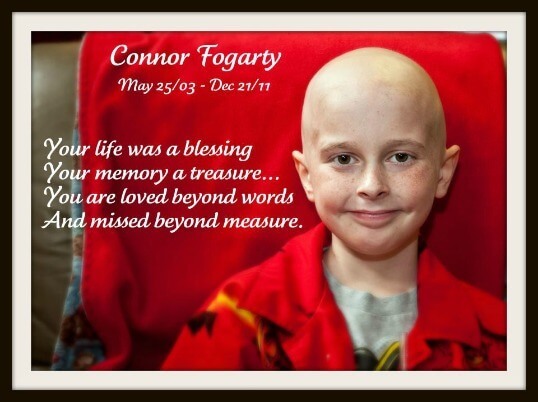 Connor passed away in his parents arms on December 21, 2011, just days before Christmas. I think of him every day when I look outside and see the sun peak through the clouds. I think of his family who miss him beyond what words can describe. I think about his mother, because she is my friend. Kayden really misses his little brother and would like to honour him by raising funds for BC Children’s Hospital. Kayden’s goal is to raise $1,000 which will then be matched through the ChildRun organization. You can help make Kayden a proud big brother by making a donation in his name, HERE. Think of the incidentals in life: the coffee in the morning, the sandwich at lunch or a few drinks after work…give that up for one day and you have your DONATION. A powerful and profound impact can be made by such a simple and easy gesture. 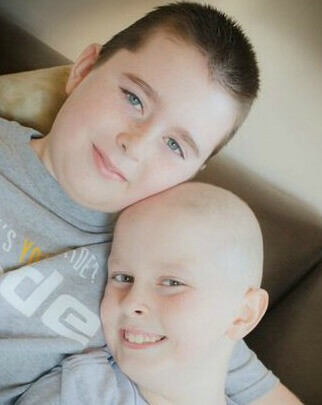 Please make a DONATION in Kayden’s name to honour his little brother, Connor. Funds raised are going towards an Oncology wing and PEDIATRIC CANCERS. PS. Give your children an extra hug today. Life is precious. 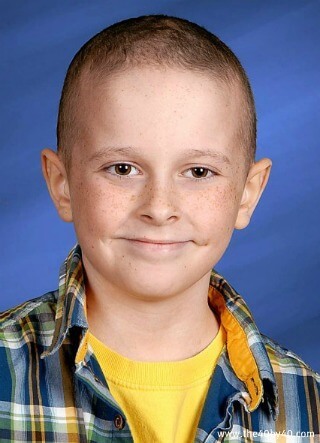 Please make a note it is for “Friends For Connor” and ask that the donation be made in support of “Kayden Fogarty”. Thank you so very much! Done, done and done! Our love and support is not just for those in our daily lives, but for all the chdrilen and families fighting a variety of illnesses and injuries. Please pass on our thoughts to your friends, and know that Connor, Nate and Maya have been added to our prayers.Love, love, love. As someone who at 43 was misdiagnosed with what was initially told as wax build up has now been re-diagnosed as a major ear infection, my heart dropped when I read Conner’s trials and hurdles he overcame. Bless Kayden for doing all he can to reach his goal. I have copied this to my Facebook, Twitter, and Gmail accounts. I truly hope that Kayden reaches his goal and I also hope I am not left with permanent hearing loss.